UbuConLA This Week, latest News!!! 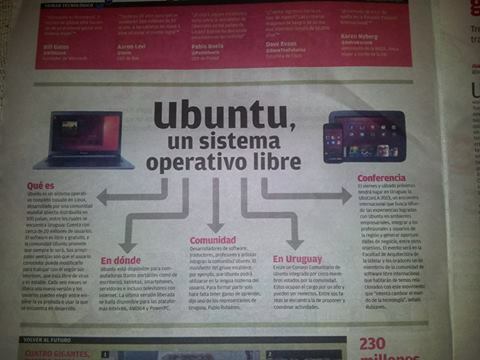 This week we have the UbuConLA in Montevideo, and almost everything is ready, in the last week we got a national newspaper interview the “El Observador” Newspaper and the Uruguayan Goverment declare the UbuConLA an event of National Interest with the approval by the Minister of Education and Culture Ricardo Ehrlich. 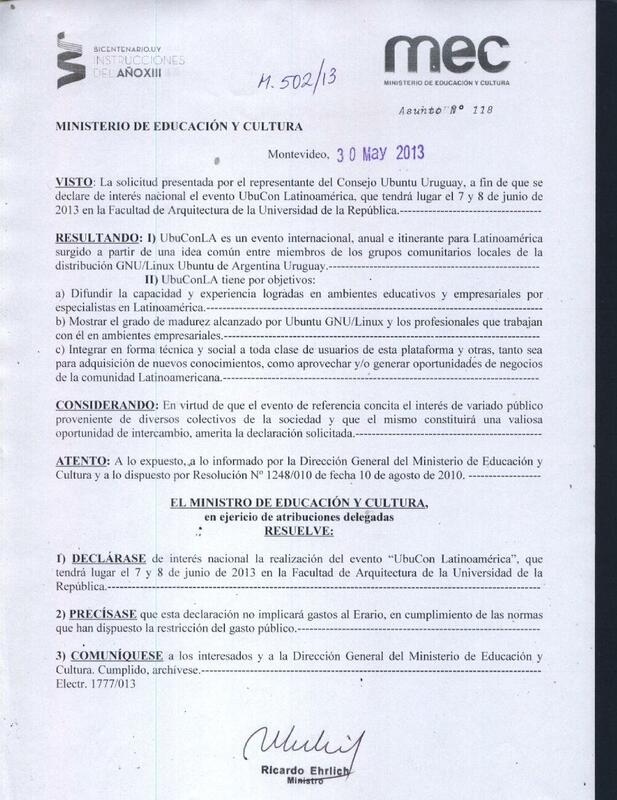 On top of this we got metion in a primetime news program in Channel 12 from Montevideo. We hope to be able to brodcast live from the Event in our youtube channel so more info is coming soon!!! 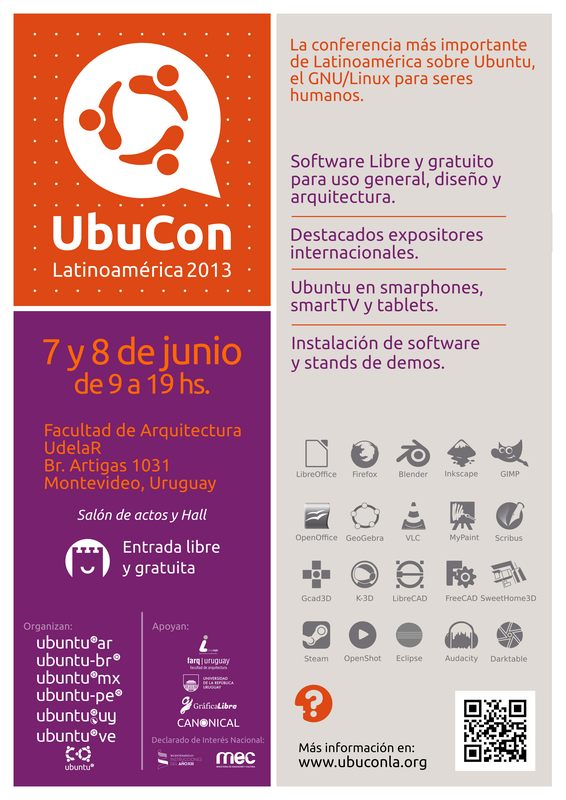 This is the UbuConLA 2013 Poster! This is the National Interest Declaration! Hi on the site there’s all the info http://ubuconla.org/cronograma.php with CV of all the speakers!